Pride and Prejudice and Zombies has found a director in the form of Mike White, Lionsgate confirmed today. 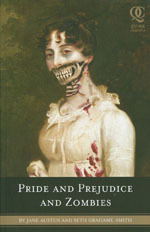 The film, based on Seth Grahame-Smith’s re-interpretation of Jane Austen’s Pride & Prejudice, features the literary heroine Elizabeth Bennet up against hordes of ravenous zombies. White, who drafted School of Rock and Nacho Libre, previously tangled with the undead as part of a cameo appearance in Zombieland. He replaces director David O. Russell, who left the project last month. No cast members are confirmed at this time, but Natalie Portman is still said to be producing.